Originally from Australia, Portia de Rossi is one of the Oceania country’s stars who took Hollywood by storm, regardless of their accent. She started her journey as an actress in Australia before moving her talent to Los Angeles where she bagged roles in movies and TV shows. It wasn’t long after her Hollywood debut before she earned international acclaim. After more than twenty years of plying her trade under the spotlight, Portia revealed that she was ready to take a bow but added a few conditions to her retirement news. Unknown to some fans, Portia de Rossi has changed her name a few times – in addition to other interesting details about her career and personal, get all the facts below. Her given name at birth was Amanda Lee Rogers which came from her parents – Margaret and Barry Rogers. She was born in Horsham, Victoria, Australia, on January 31, 1973. Portia attended Melbourne Girls Grammar School and furthered at the University of Melbourne, graduating with a degree in Law. Her foray into the entertainment industry started as a child when she began modelling for print and TV commercials. At age 15, she took a decision to reinvent herself by adopting the name of a character in William Shakespeare’s The Merchant of Venice, combined with an Italian last name. This birthed her widely recognised name, Portia de Rossi. Before storming Hollywood, she did a bit of acting in her home country and is credited to a few screen appearances including in Sirens (1994). She later immigrated to the United States, Los Angeles to be precise, where she grabbed roles in films and shows including Nick Freno: Licensed Teacher – a 1990s sitcom where she played a permanent role. She was cast in Ally McBeal in 1998, where her role as lawyer Nelle Porter introduced her to international audiences. From 2003 to 2006, Portia was among the cast of Arrested Development, and around that time, she starred in a few films including America’s Prince: The John F. Kennedy Jr. Story as John F. Kennedy, Jr.’s wife, Cursed as Zela, as well as The Night We Called It a Day as a reporter. Between 2009 and 2010, Portia was on the set of Better Off Ted and went back to Arrested Development when filming for the fourth season kicked off on 7 August 2012. 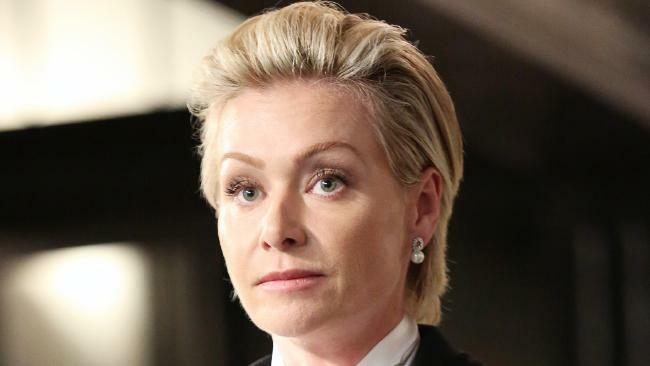 In 2014, Portia de Rossi was cast in a recurring role as Elizabeth North in Scandal (fourth season) but she became a regular on the show in the fifth season. However, in the sixth season, Elizabeth North was killed, following Portia’s decision to leave the Scandal family in order to pursue other endeavours. In May 2018, the actress spilled the beans on her plans to retire from the acting industry. Howbeit, she hinted that she may consider a comeback if Arrested Development gets another chance on the screen. Right from her formative years, Portia de Rossi has shown dedication to her craft and her talent has never been doubted. Her efforts have also paid off big time as she is said to be sitting on a net worth of $20 million. Though quite impressive, her fortune is no match when compared to her spouse’s $450 million. From 1996 to 1999, Portia tried to hide her sexuality by staying in her marriage to Mel Metcalfe. When the marriage eventually crashed, she started embracing her sexual orientation by dating director Francesca Gregorini, albeit behind the curtains. The relationship lasted from 2001 to 2004. It was later revealed that Portia was dating Ellen DeGeneres while with Francesca, leading to the end of their relationship. It was at this point that Portia officially came out as a lesbian after many years in the closet. She let the cat out of the bag in her interviews with Details and The Advocate. DeGeneres proposed to her in 2008 and she said yes. On August 16 in the same year, the two tied the knot at their home in Beverly Hills on 16 August 2008. The couple’s mothers and 17 other guests graced the event. 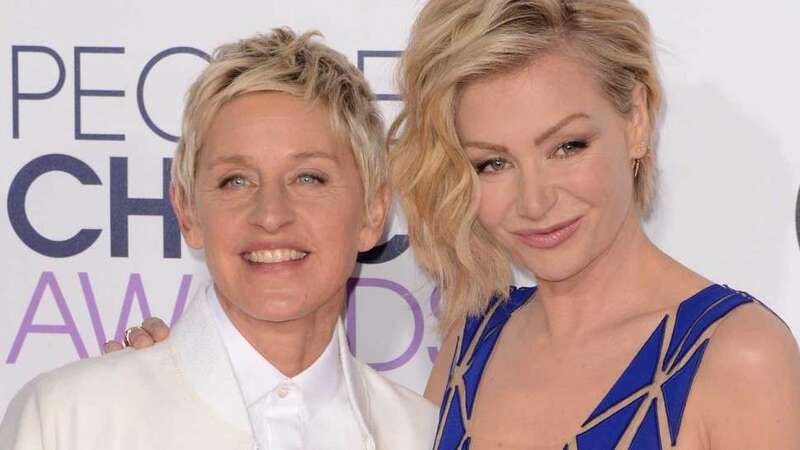 Two years after her marriage to the media mogul, Portia filed a petition to legally adopt Portia Lee James DeGeneres as her name and it was granted on 23 September 2010. Once a model, Portia has all the qualities to excel in that field. She stands at a height of 1.71 m and maintains a healthy body weight of 57 kg. Her general body measurements are ‎33-24-35 inches. He natural hair is blonde which she has worn long or short on different occasions.